It can take awhile to get the hang of your new equipment and we want to help you get the most out of your setup. Whether you're looking for a step-by-step walkthrough on using your new espresso machine or don't know where to start when preparing coffee in your new La Cafetiere, we've got you covered. Guide to Brewing Tea - Whether it is black, green, white or Pu-erh...if tea is your jam, we provide the guidelines to get you steeping in style. Rancilio Silvia - Make excellent coffee and keep your Silvia in top condition by following our detailed use instructions. How to Pull the Perfect Espresso Shot - Need a general primer on how to pull a shot, regardless of your equipment? This guide walks you through all the elements to keep in mind while crafting your java. For the more graphically-inclined, check out the Infographic version of this guide. How to Steam Milk with Microfoam - Steaming milk is both art and science -- and involves a lot of practice! We've compiled the most important elements to keep in mind when you're learning how to froth milk. How to Make Excellent French Press Coffee - It's one of the most simple and elegant coffee preps around! Learn some general tips on produce a delicious press pot brew at home. Need a visual representation of this step-by-step guide? We've got an infographic for that! How to Program the Baratza Vario for Sleep Mode - Program your Vario to automatically turn off in a few simple steps. 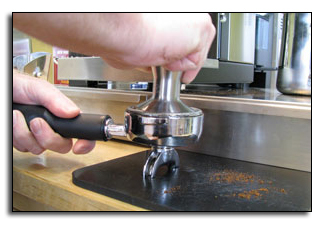 Superheroic Care for Your Superauto - You get what you give, especially when it comes to taking care of your superautomatic espresso machine, but it can be tough to remember to do what and when. If you've been looking for a handy checklist to remind you when and how you should take care of your beloved machine, this step-by-step guide is for you.